What a fun shoot to celebrate spring’s arrival! 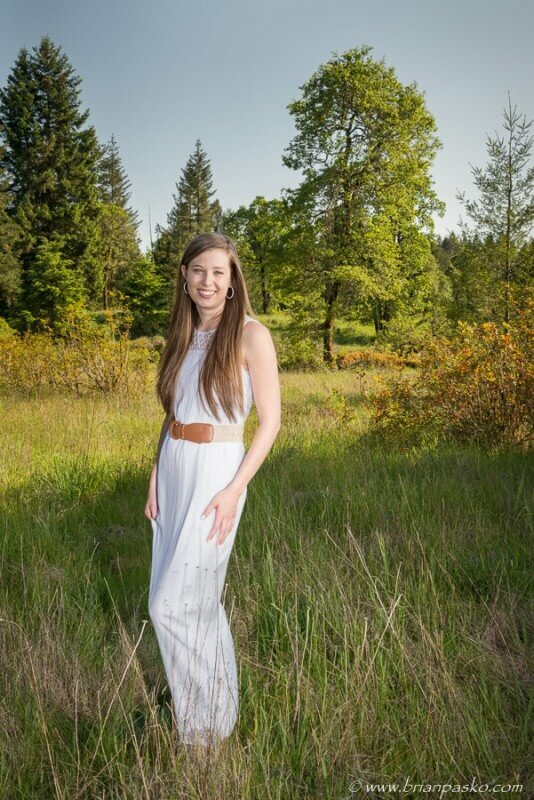 These images of Rachel were taken at a natural area located near Barton, Oregon in rural Clackamas County. It’s really an amazing location, with all kinds of shooting possibilities and background options! (You can click on the images below to see larger versions). On the upper portion of the property there is a large meadow. The property owners manage the field with prescribed burns. This results in tons of native wildflowers in late summer, especially daisies. It’s the perfect location for family portraits or high school senior girls looking for some pretty flowers to add something extra to their senior pictures. 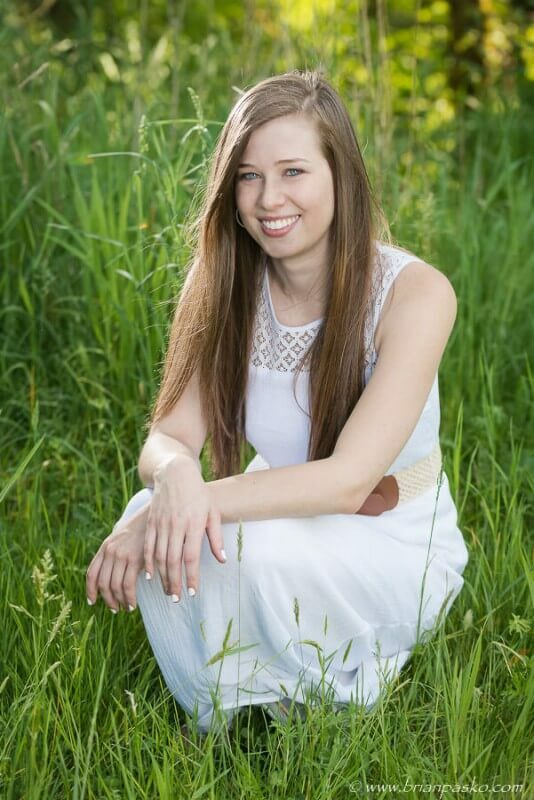 Check out Carly’s senior pictures (Sunset High School) for a look at the flowers that blanket the natural area in late summer in early fall. After a short walk along a dirt trail (about 1/4 of a mile or so), the elevation begins to drop and the path takes you from meadow into a young forest. 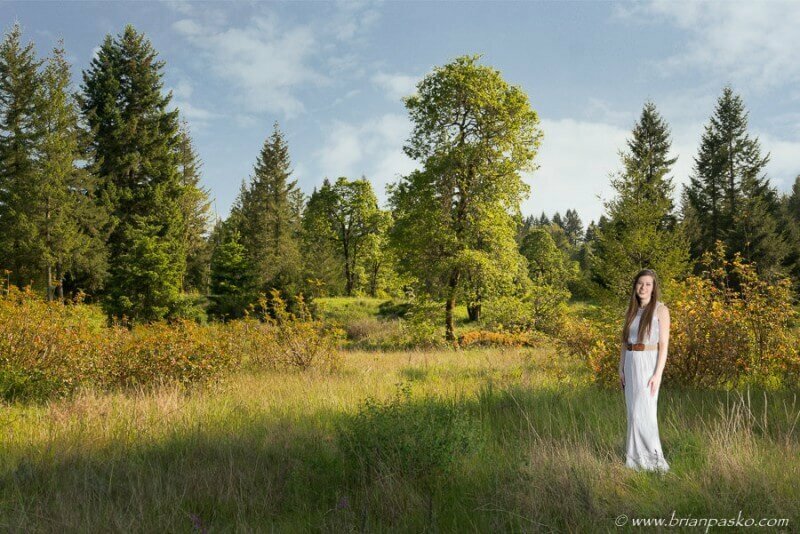 The surrounding trees provide plenty of shade, creating nice even light for beauiful portraits. Here I took advantage of that shade, but added a couple of additional lights from my kit to give the appearance of the sun highlighting Rachel’s hair. Natural light is often beautiful, but rarely is it perfect. Professional Photographers who know how to use artificial light can often create stronger images by supplementing the already existing light with an additional lightsource to eliminate unwanted shadows or create a pleasing directional light that is flatters the person being photographed. Continuing on a bit further, the dirt path passes by a small stream and then comes across a beautiful overlook along the Clackamas River. 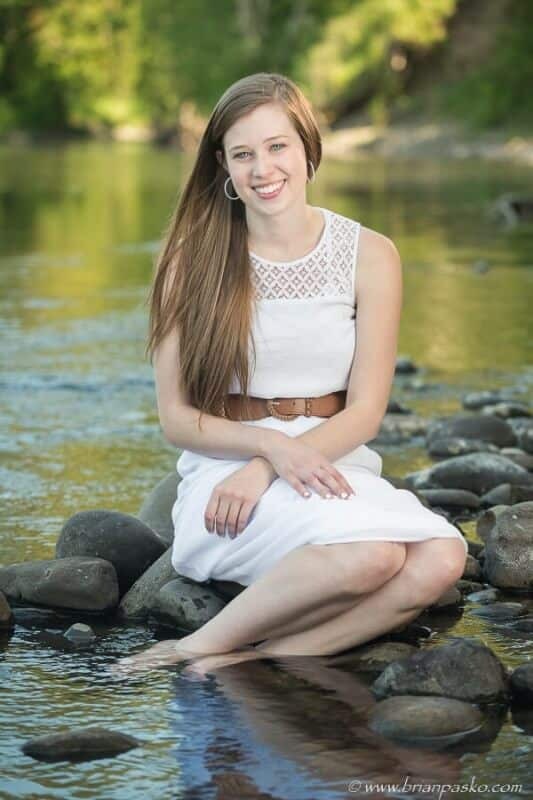 There are great opportunities for images up on a bluff overlooking the river, where large boulders provide the perfect seats to have your picture or taken (or just to enjoy the view). In this case, Rachel and I decided to take her portrait right in the river itself! This time of year the water was relatively warm and this section of the river was calm and shallow. Rachel sat on some rocks along the shore, and I photographer her while standing in the river myself. Again, here I added some additional light add some highlights to her shoulder and hair, which helps to separating Rachel from the beautiful background behind her.